Every month, in a chateau of our appellation, discover the art of matching food and wine, a refined and original experience. From the appetizer to the dessert, let yourself be guided by the chef Jean-Christophe Loste. Explore the appellation in a different way, with this gourmet meal and a personalized visit with the winemaker. Situated in the heart of Castillon la Bataille, the Maison du Vin is the doorway to vineyards of Castillon Côtes de Bordeaux. All its team will welcome you and help you discover the wines and the numerous activities offered around the vineyards. A Castillon for everyone: visits to wineries, strolls in the vines on horseback, in a plane, in a canoe, lunches, Saturday tastings, activities all year round for you to discover and enjoy the vineyards of our region. 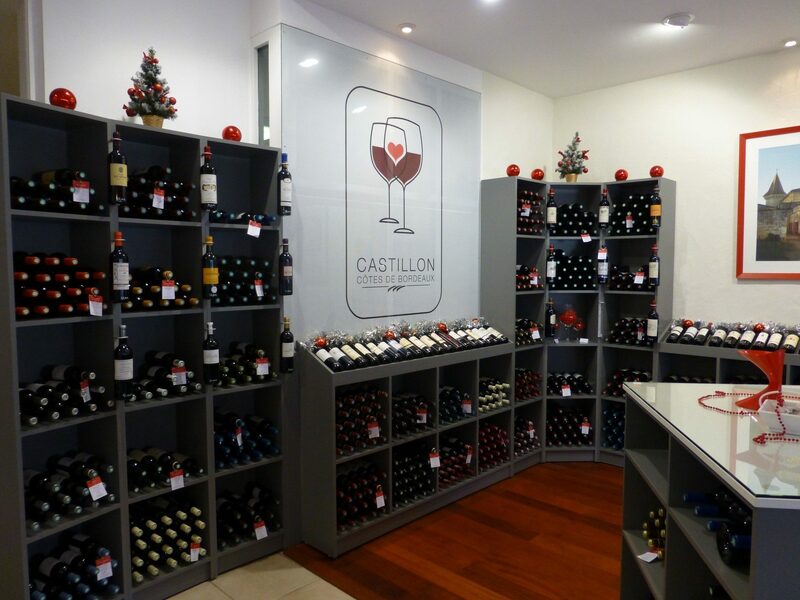 Our attractive showroom offers over 60 wines, an opportunity to taste, free of charge, wines from Castillon Côtes Bordeaux all available to buy for the same price as the vineyard.